Farmers at the recent 48-hour protest at meat factories. The Minister for Agriculture, Food and Marine Simon Coveney has been criticised for still not listening to farmers on the beef crisis by Fianna Fáil Senator Marc Mac Sharry. 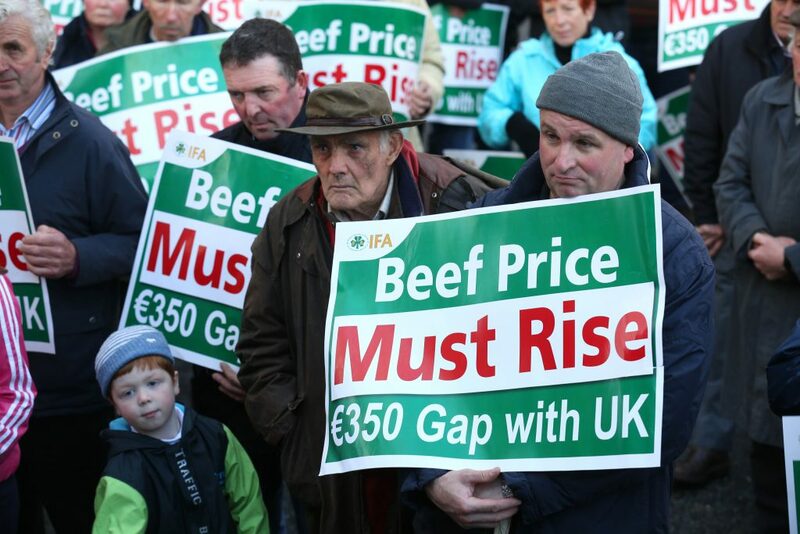 Senator Mac Sharry was speaking as the second protest by farmers outside beef factories in two weeks continues. 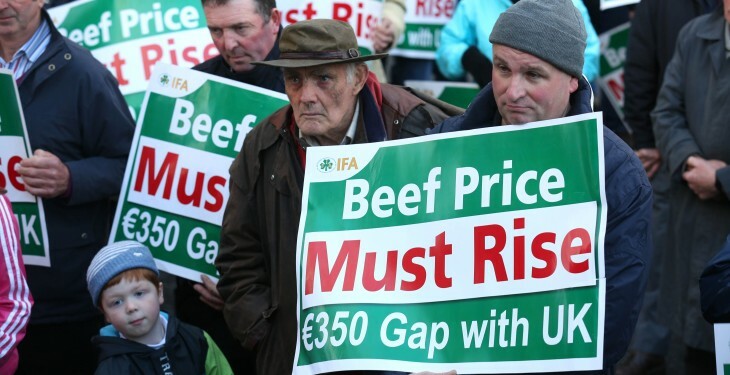 Mac Sharry said it is clear that Minister Simon Coveney is still not listening to beef farmers or their concerns over the beef crisis, prices across the country are down as much as 20% this year. He said among the biggest issues are the unfair and discriminatory practices being used by the large supermarkets and processors which are penalising beef farmers and unfairly inhibiting fair trade between Ireland and Britain. “Minister Coveney has not been proactive enough in working with his Northern Irish counterpart to address this issue. The longer this goes on without a resolution, the worse it gets for farmers that are really struggling to survive. “Minister Coveney must take the fight to Europe to seek enforcement of article 39b of the Lisbon Treaty which guarantees a fair living to farmers. An EU intervention is desperately needed to remove the barriers to trade being put in place by multiples and processors which is preventing farmers getting a fair price.